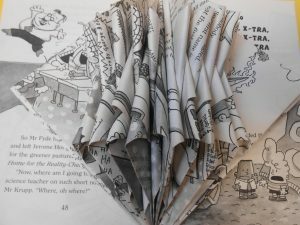 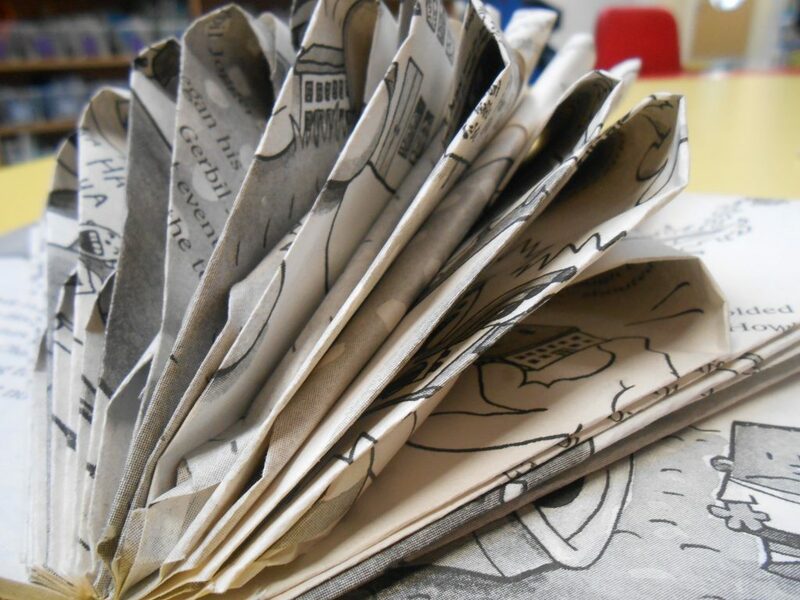 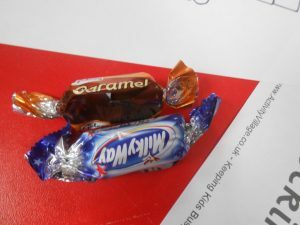 Miss Whiteley had some old books that were falling apart, this is what the Page Turners decided to do with them. 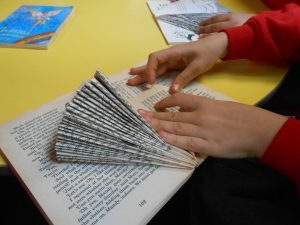 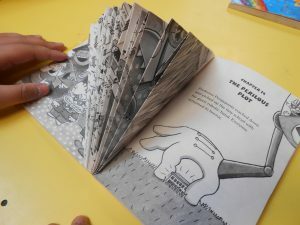 Next week the others will be finishing their book sculptures so watch this space for an update on their creations. 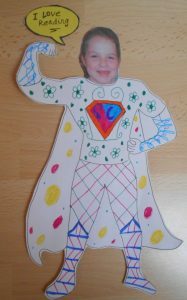 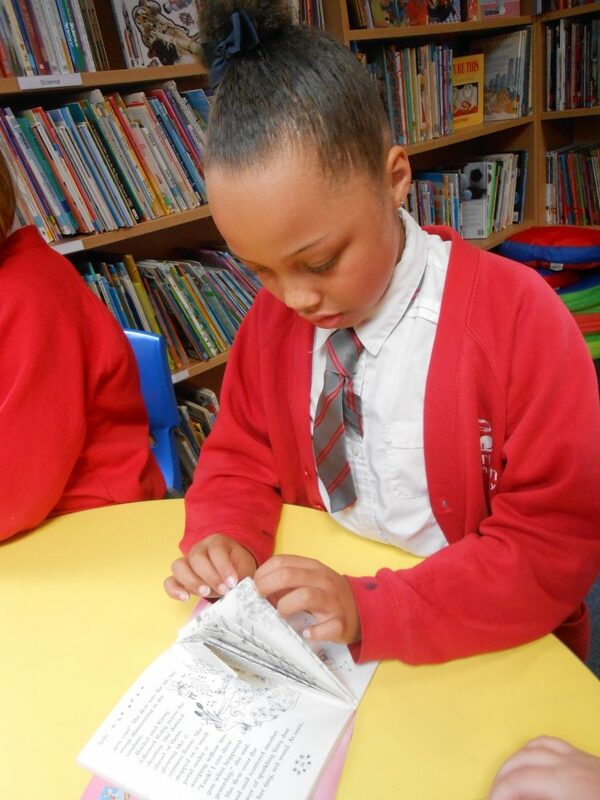 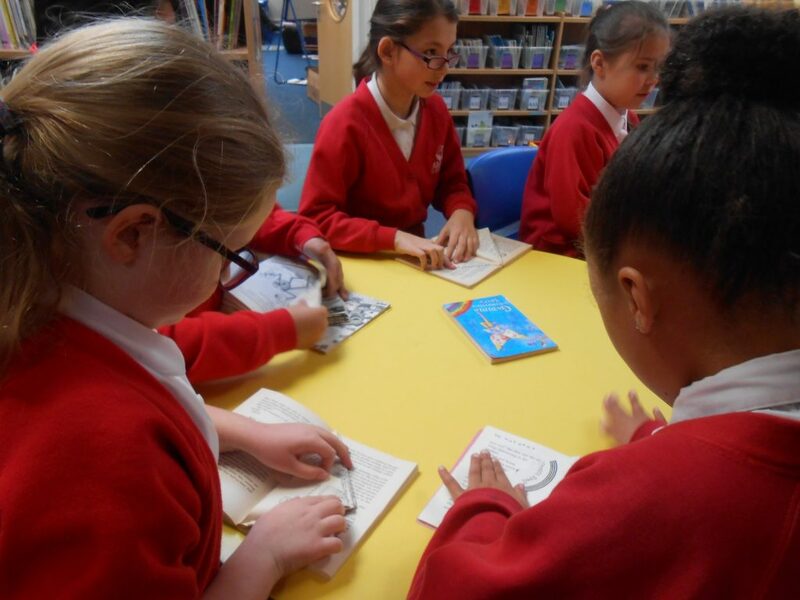 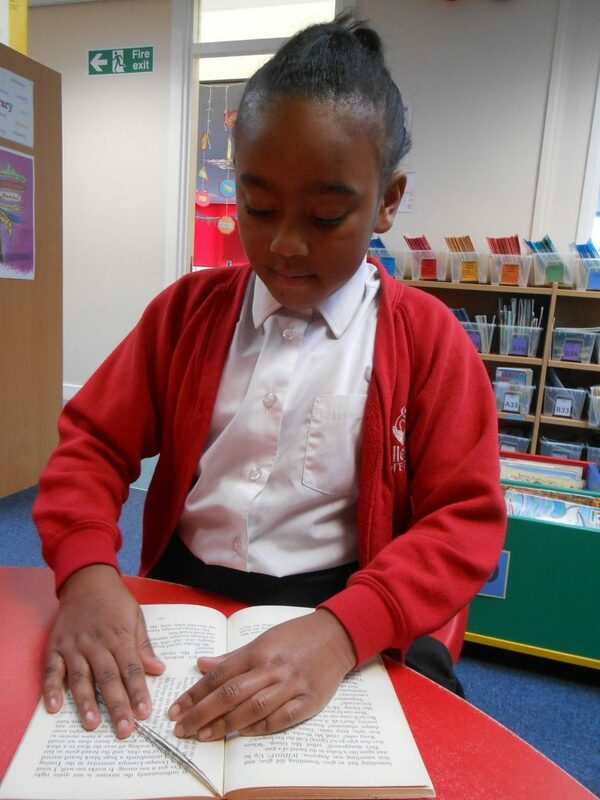 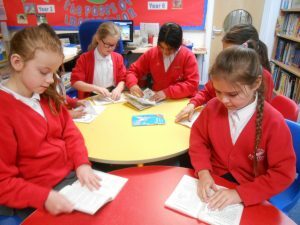 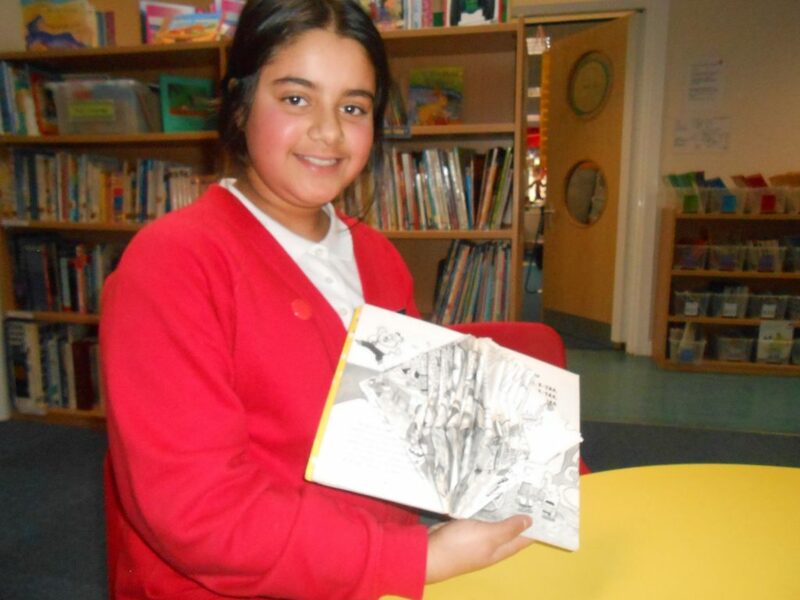 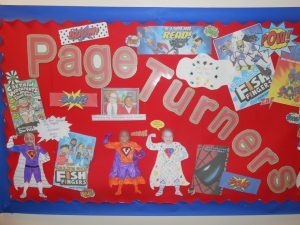 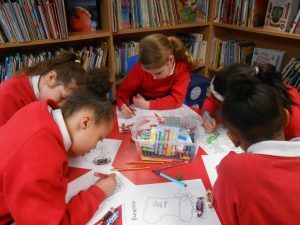 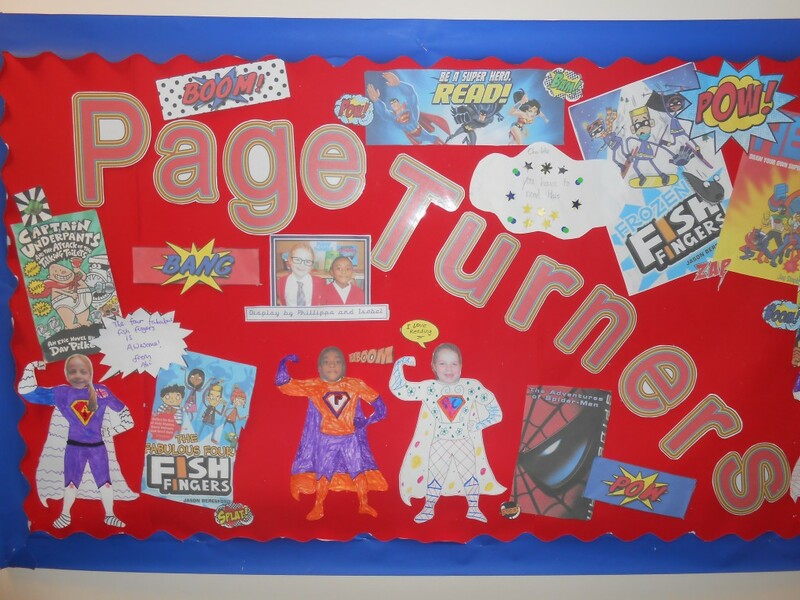 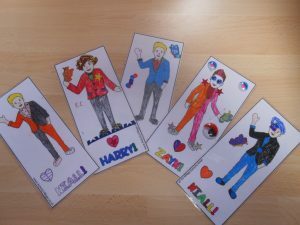 To coincide with children in Need, the Page Turners will be reading superhero themed books. Some will be reading The Fabulous Four Fish Fingers, Frozen Fish Fingers both written by Jason Beresford while others will be reading Dave Pilkey’s Captain Underpants. Next week we will also be busy creating a new display and make superhero masks.